We are running our Annual Christmas Stocking Appeal again this autumn. We are asking knitters and crocheters across the country to join to help us spread some festive cheer by making mini stockings for care homes, lunch clubs, hospices and foodbanks. Last year we distributed more than 1,500 stockings to organisations all over the country. We hope this is the perfect chance for us to celebrate our craft and we want to get as many people involved as possible. 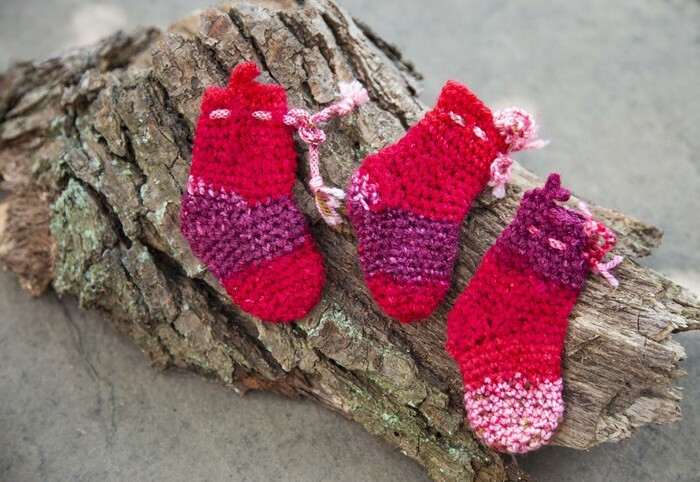 Anyone can get take part simply by making a mini Christmas stocking or sock from left over yarn. UK Hand Knitting has created four special knit and crochet patterns, all of which can be found here. The stockings can be filled with a chocolate as a little gift, hung up individually as decorations or strung together as bunting.